Can anyone recommend a book about the French Revolution? Can anyone recommend a book about the French Revolution? I would prefer non-fiction that reads like fiction (if that makes sense) but historical fiction recommendations would be welcome as well. Thanks all! Les Miserables! Except that one is quite… hefty. Les Mis isn’t actually about the French Revolution, but it’s a terrific book all the same. Try A Place of Greater Safety by Hilary Mantel. Yes! This is such a nerdish pet peeve of mine! It was about the 1832 student rebellion. Desiree by Annemarie Selinko. She was Napoleon’s fiancee and ended up as queen of Sweden. I highly recommend “Far Better Rest,” and the Aristede Revel series by Susanne Alleyn. Ambition and Desire, a biography of the Empress Josephine that covers the Revolution extensively. Excellent biography, sympathetic to Josephine. Where the Light Falls by Alison and Owen Pataki. It’s a great historical fiction book set during the Revolution. I really enjoyed it. I think the point of coming here is to get personal recommendations rather than what google spits out. Otherwise we wouldn’t ask, we would google it instead! I would read member recommendations and google lists. That way I can check goodreads reviews before deciding. I certainly would not criticize a suggestion. Sandra Gulland’s the Josephine Diaries cover some of that. Certainly have insight on Napoleon. Excellent fun read. This was probably my favorite book that I ever had to read for school. It was fun! And it made watching the movies again that much more enjoyable. I second (or is it third?) 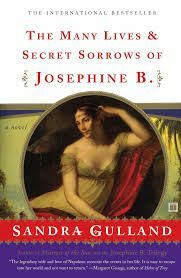 The Many Lives and Secret Sorrows of Josephine B. by Sandra Gulland. Fictional, but based on her diaries. I learned more about the revolution that I had in studying history. The Three Musketeers are a classic. Thomas Carlyle’s French Revolution is the classic work. It’s very readable (but very large – 900+ pages) and is in the public domain so very cheap on Kindle. Peter McPhee’s Liberty or Death is a current, more classic history. Good overview of the revolution and it’s impact ion France and Europe. The Rose Grower, a lovely novel set in France during the Revolution. Have you seen the movie? I watched it in French first, then English. I don’t think the movie nearly so good as the book! Hilary Mantel wrote a historical fiction novel called A Place of Greater Safety that covers a lot of the personalities of the French Revolution. Marie Antoinette’s life and her love affair includes a lot about that. The Scarlet Pimpernel which I love and reread every year or two. Oops! Someone else suggested this higher up. The French REvolution as Seen by Madame Tussaud, Witness Extraordinary, by Pauline Chapman, is very good. Madame Tussaud (Marie Grosholtz as she was then) had a unique view of the revolution, because she had been close to the royal family (she taught drawing to Princess Elizabeth), but also was expected to make wax moulds from the severed heads of aristocrats some of whom she had known. Her story is fascinating. 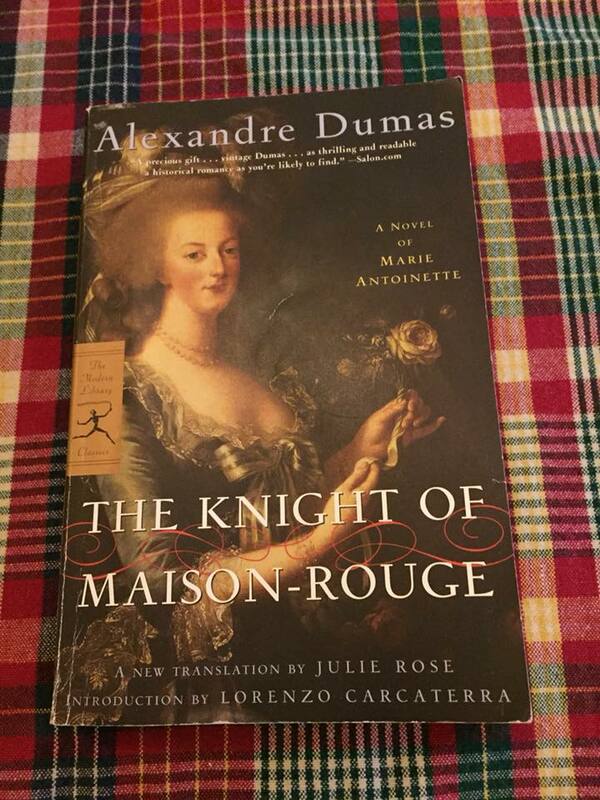 Another interesting book is The Memoirs of Madame Campan. Madame Campan was lady in waiting to Marie Antoinette, so her memoirs are very interesting as she knew the Queen well. I haven’t finished it yet but this thrift store find is a win!